RICAS Assessments - Beginning Spring 2018 new standardized tests in English Language Arts, and Math. Please click on the above link to see the list of skills required for the RICAS assessment and make sure you are prepared! English Language Arts. Prep your students' tech skills and ELA skills at the same time. Math practice by grade level. 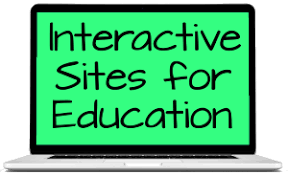 "​Engage your students in online literacy learning with these interactive tools that help them accomplish a variety of goals—from organizing their thoughts to learning about language—all while having fun." Arranged by grade level and math skill. Prep tech and math skills at the same time. Some of these sites have text, for others, text needs to be procured from another site/source. Read nonfiction about different science topics. Enjoy the changing "Wonder of the Day." An example of nonfiction text plus a video is found on "What was Before Dinosaurs?" The Biography Channel allows you to search for names of famous people, past or present. Read about the person and watch a video when available. Example: Michael Jordan. World Book sources available through AskRI, are encylopedias for all ages. Try World Book Student, search for elephants. You will see articles to read about elephants, as well as four short videos to watch. Compare videos with text found at other sites like Explora. Many thanks to Mrs. Rose of Barrows, Mrs. Steward of Gladstone, and Mrs. Mills of Park View for developing the information on this page. Also special thanks to Mrs. Castro of Wyman and Holden Elementary Schools in Warwick for some of this information.